This is a rectangular Wild Woodbine Cigarettes porcelain sign. 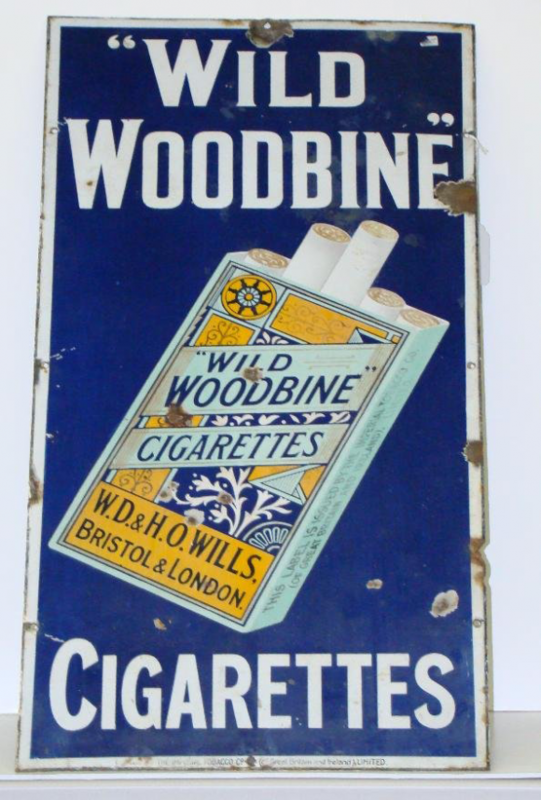 This particular Wild Woodbine Cigarettes sign is blue with white text. It reads, “Wild Woodbine Cigarettes, W.D. & H.O. Wills., Bristol & London” and features a yellow and white pack of Wild Woodbine Cigarettes in in the center of the sign.